How are your fitness goals going? 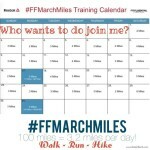 It’s been another crazy week here, but I have a FFMarchMiles update, a weight loss update, and an amazingly delicious fresh juicing recipe for you! 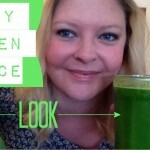 If you just want the juicing recipe – skip to the bottom! 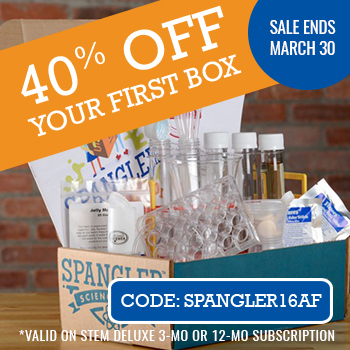 I can’t believe March is almost over! 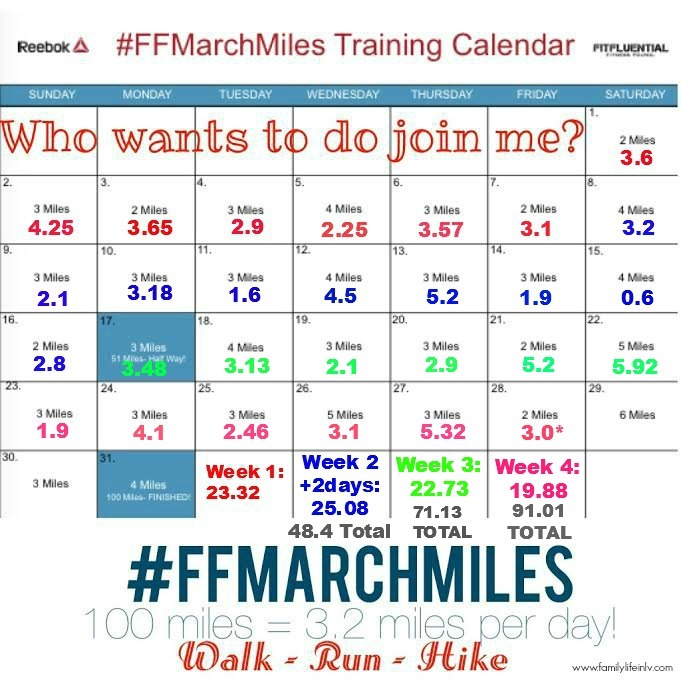 Which means the Reebok and Fitfluential challenge for 100 Miles in March is also almost over! I’m really proud of myself for sticking to it all month long. I had hoped more of my miles would come from running, but I have found training for my 5k really hard with the boys. I NEED a double jogger stroller since I can’t use the gym right now… and to be honest, a double jogger isn’t in the budget anywhere! I’m really going to have to re-evaluate how to get my training done in April. I am proud that I am very close to the 100 mile goal! I didn’t update last week, so you can see my last 10 days on the calendar. I’m down 5.3 lbs this month. I wish it were better, but I had some food slips. That said – a loss is a loss so I will take it. My allergist gave me the go ahead to try eggs into my diet again to see how the baby reacts to it. If you don’t know, my son has FPIES and when he was at his worst around 7-9 months old we were trying to pinpoint foods that might be causing him distress through my milk. Eggs was one of those, but over the past several months we have noticed if the eggs are baked into something he doesn’t have a reaction to it. I’m excited to add eggs back into my diet as they are a good source of protein for me. Fingers crossed it goes well! Another issue with my weight loss I have been skipping breakfast… Which I know to personally be a poor start to my day. I end up so hungry I don’t always make the best choices. So last night I took 10 minutes and put together the ingredients for green smoothies into baggies so all I would have to do was grab, dump, blend, and drink. No excuses when it is that easy. A friend on IG recommended freezing them in Mason Jars which I think would be super smart because I can then use the jar as a glass once it is mixed and I won’t be wasting baggies. The recipe for the smoothies above is really easy – it’s this nutty green smoothie recipe without the nuts! If I have a little bit more time in the morning, I like to juice. 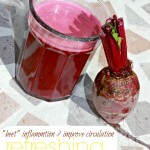 I love green juices, and beet juices, but I think this “Summer Sunshine” juice recipe might just be my favorite juice I’ve made yet! The bright orange color is a great way to start any day – especially since the color mainly comes from the Tumeric and Golden Beet in the juice, but truth is that every ingredient in this juice is something your body is likely craving, needing, or could use more of! 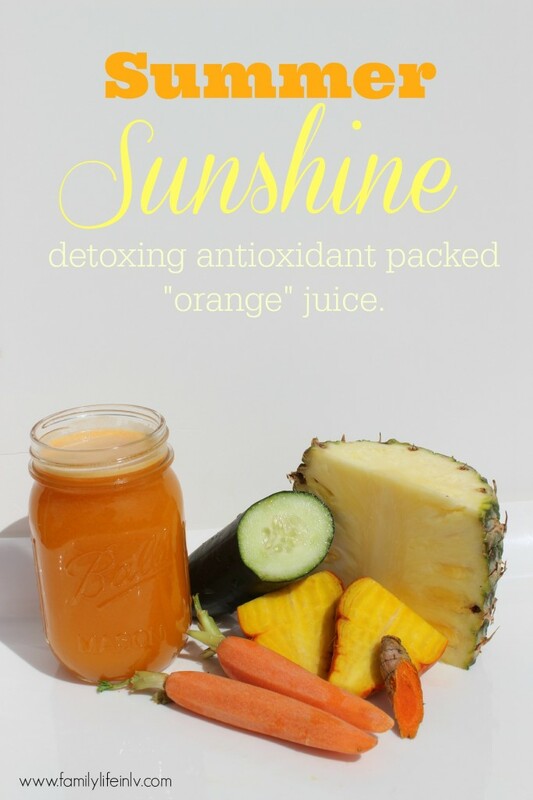 This juice is full of antioxidants, Vitamin A, and Vitamin C. It’s a great way to flush toxins from your body first thing in the am. Tumeric is anti-inflammatory, and a super powerful antioxidant. Golden Beets are packed with fiber, potassium, iron, and folic acid. They are very heart healthy, good for detoxing your body and kidneys, and help fight fatigue. Carrots are high in beta carotene and vitamin A. Vitamin A is a great detoxifier for your liver too! Cucumbers are high in water content to hydrate your body and contain silica which is great for hair and skin. Cucumbers are also great for lowering blood pressure. Pineapplesgive this juice it’s sweet taste, but are also packed with Vitamin C and bromelain which helps digestion, and keeps colds at bay! Pineapples also have a lot of fiber, potassium, and calcium. An "orange" juice packed full of antioxidants, vitamin A, and vitamin C that flushes the toxins and leaves you full of energy! 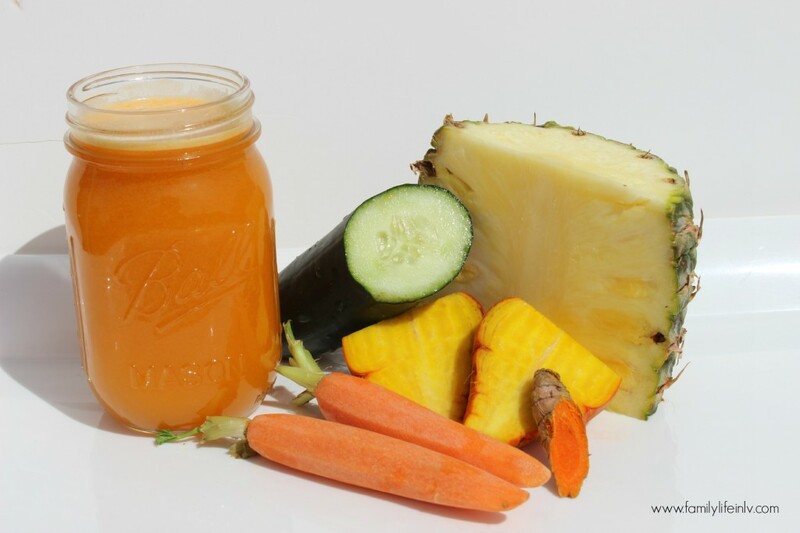 Put all ingredients though your juicer and enjoy. I used a 1" nub from the Tumeric root, if you can't find the root you may substitute powder and mix it in after your other items have been juiced. Let me know if you try it! I know you will love it as much as I do! Did you reach any fitness goals this week? My husband will sometimes juice for us on the weekend. I am afraid to try anything too outrageous, so he pretty much sticks with the basics for me. I should try to branch out more! I would never have thought of the flavor combo but can definitely see why this is refreshing. wow, good for you! It’s easy to lose sight of your goals when the kids are sick and life gets busy, but you strived through them. YAY! and thanks for the recipe, I skip breakie a lot too, I need to start making these! 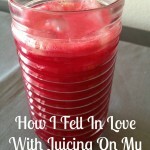 I haven’t ever tried really juicing even though I love to read juice recipes. This one looks delicious! I’ve never tried juicing before, but my gosh that sounds so good. Best of all, it’s healthful! That’s a great idea to keep your juice ingredients frozen and ready. What a time saver! I have never tried juicing, but it doesn’t mean I’m not interested. That is awesome how you have everything ready to go, I would be more likely to do it if I was organized like that. love your grab and go idea, that is awesome! We drink smoothies all the time – this would work out nicely! Yummy! This juice sounds great! I am really craving something like this with spring finally here! I have not juiced. I may try it one of these days, but it would have to be on the sweet side for me I think. That looks really good. I do a lot of juicing. Great way to start the day. I would probably make healthy smoothies a lot more often, if I prepared the little bags ahead of time. Fab idea! OH YUM!!! I need my juicer back from my sister. She “borrowed it”. lol This recipe looks GREAT. I love your idea of bagging the ingredients, too. It can be a pain to get them ready each time!! That juice recipe sounds delicious and healthy. Good for you making those smoothie bags. Skipping breakfast is definitely a huge sabotage to weight loss! Your fitness journey is going great! Keep up the good work! 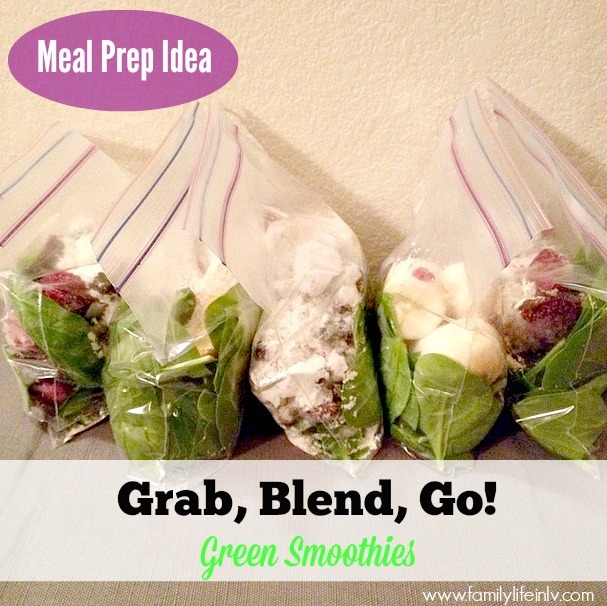 Freezing the smoothies in a mason jar or the grab and go baggies is such a clever idea! We make them all the time, and this would certainly save me time. Congratulations on your loss thus far this week, any progress is still progress. That juice recipe sounds delicious, too. I have wanted a juicer for a long time, but only recently have I been seriously thinking about getting it. I think it’s time!